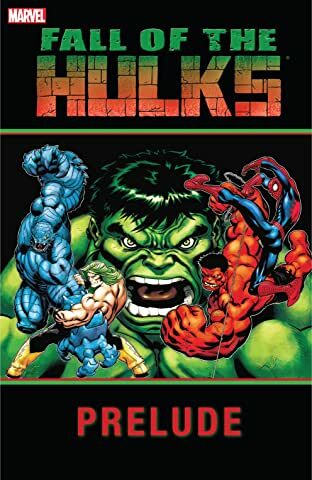 Collects Hulk (2008) #2, Skaar: Son Of Hulk #1, Hulk: Raging Thunder, Planet Skaar Prologue, All-New Savage She-Hulk #4, Hulk (2008) #16 and material from Amazing Fantasy (2004) #15, Hulk (2008) #9 and Incredible Hulk #600-601. 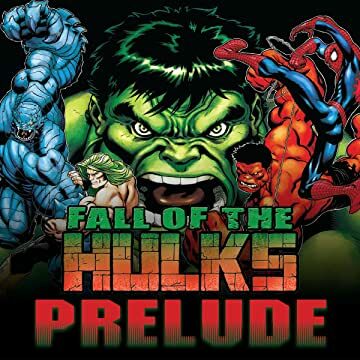 Get caught up on the latest happenings in the Hulk family before it all comes together in FALL OF THE HULKS! See Red Hulk do battle with Iron Man. Revisit the violent origin of Skaar, the savage Son of Hulk, and watch what happens when he finally visits Earth. And learn all about the All-New Savage She-Hulk and the role she may or may not play in the upcoming apocalypse. Plus, Thundra versus Hulk! The countdown to the biggest Hulk event ever begins here!